The PROspeedrope skipping rope PRO is perfect for frequent and intensive use thanks to its excellent workmanship and use of best materials. The pro skipping rope has a very long durability. 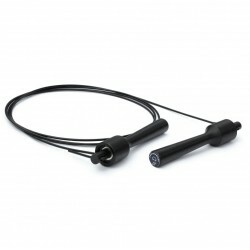 The Taurus skipping rope Speed is excellent for a cardiovascular training. It is very durable; the encased steel rope is adjustable in length and the rubberized handles rest optimally in the hand. 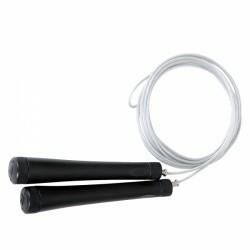 The PROspeedrope Skipping Rope "CF" is the ideal skipping rope for functional training. The skipping rope is convincing with its 200 g total weight. 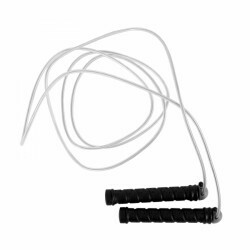 The Taurus Athletic Jump Rope is very gentle on the floorand hard-wearing. Furthermore, it has ball bearings. It is ideal for an intense fitness or warm-up training. The PROspeedrope Skipping Rope GOLD is perfect for frequent and intensive use thanks to the excellent workmanship and use of only the best materials. 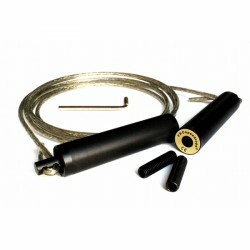 The professional skipping rope has a thick 6mm brass braid. The classic in natural, elegant design: the Taurus skipping rope has a nice, sturdy leather rope and precious wooden handles. A fitness device for stamina training with style. 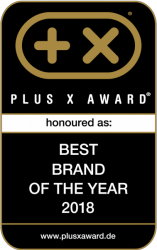 The Excellerator skipping rope Professionell PVC is the competition version of the "fastest skipping rope in the world". The Skipping rope Taurus Pro Speed is excellent for intensive warm-ups as well as challenging coordination and cardiovascular workouts. 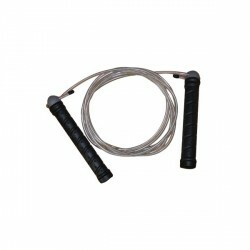 The Taurus skipping rope's heavy grips are made of black plastic and increase the training effect due to the extra weight. The PROspeedrope Skipping Rope HEAVY is a professional quality skipping rope. The rope has an extra-heavy steel cord and is ideal for competition training, boxing and general fitness training. Quality product. Real feel with optional weighed handles. Good spinning mechanism. Quality rubber sheathed steel cord with preferred indoor use. It is possible to achieve high speed with it. Replacement cord is available. Highly recommended. Your wrists and forearms feel the benefit (i.e. pain) in no time. 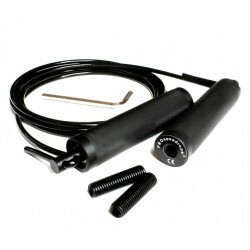 As you would expect for the price, the skipping rope and the weights are quality products and they do not disappoint. The weights screw very snugly into the rope handles - no risk of them falling out. Great skipping rope. Highly recommend purchase of the optional stainless steel weights which screw snugly into the handles. You will really feel your wrists and forearms working harder. Altogether, fairly expensive for a skipping rope but you will only buy it once. Only downside is adjusting the length of the rope which is a workout in itself; nevertheless, five stars. When my skipping rope broke, I did notice one guy have such a beautiful yellow skipping rope. I did ask where did he buy this, he gave me internet shop address and where was the price 45EUR delivery 20 EUR from UK. I started to search internet, I did saw a lot of internet shops and even ebay, but here is the best price for this skipping rope and delivery costs me 10EUR. Also I did pay to driver at the delivery moment. So no risk to loose something or get wrong goods. What can be better? So highly recommended. Rope skipping is a complete whole body training which is ideal for increasing stamina and improving coordination. The training with a skipping rope demands effectively, arms, legs, shoulders, and the trunk muscles. What became famous in boxing, has been established in fitness for the last years. Sport-Tiedje offers skipping ropes of several renowned manufacturers. 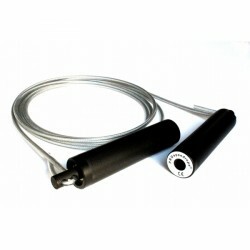 Skipping ropes differ in material, weight, and in shape of handles as well as material of the rope. Ball bearings provide smooth swinging features, heavier handles give an additional training effect. 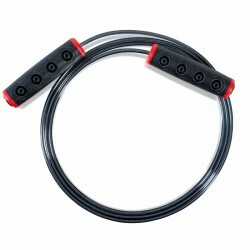 Some skipping ropes have a display integrated in the handle, which shows number of hits, training time, and calory consumption. Determine the correct length of a skipping rope, when you stand with both feet on the middle of the rope. Rope ends should ideally reach until under the armpits.